I started to hand sew when I was five and to use a sewing machine when I was nine (a matter of having finally grown tall enough to operate the foot pedal). Somewhere in childhood (can't pin any of them down to an exact age) I learned embroidery and crewel (which is basically larger-scale embroidery with yarn instead of floss), tapestry stitching (including bargello), rug hooking, hand quilting, macramé, cross-stitch and other similar arts. When I was seventeen I taught myself to knit from a how-to pamphlet. Tried tatting in my twenties and liked it but never could find a decent shuttle to really give it a go (the cheapie metal and plastic ones available today are crap). Took a hardanger class in my thirties ... piece o' cake. My preferences are strongly towards knitting and sewing but overall if it involves fibre then I've generally found it easy to learn/master. And remember ... I know from experience that I can not do the thing for years and then dive back in as if I'd only been doing it yesterday. But the brain changes and benefits from change and hope never dies. So I'm planning on giving it another shot sometime this year. It's a time of an abundance of really good materials and, equally important, really good tools. I've only ever used Aero crochet hooks which are plastic-coated and blunt ... sorta the crochet hook equivalent of kiddie safety scissors (they were the only thing available at the time). So I've placed an order for some DyakCraft hooks (the same folks who produce those high-end knitting needles that I love) because I know from experience that better equipment really does help. I've loads of good quality natural fibre yarns on hand. 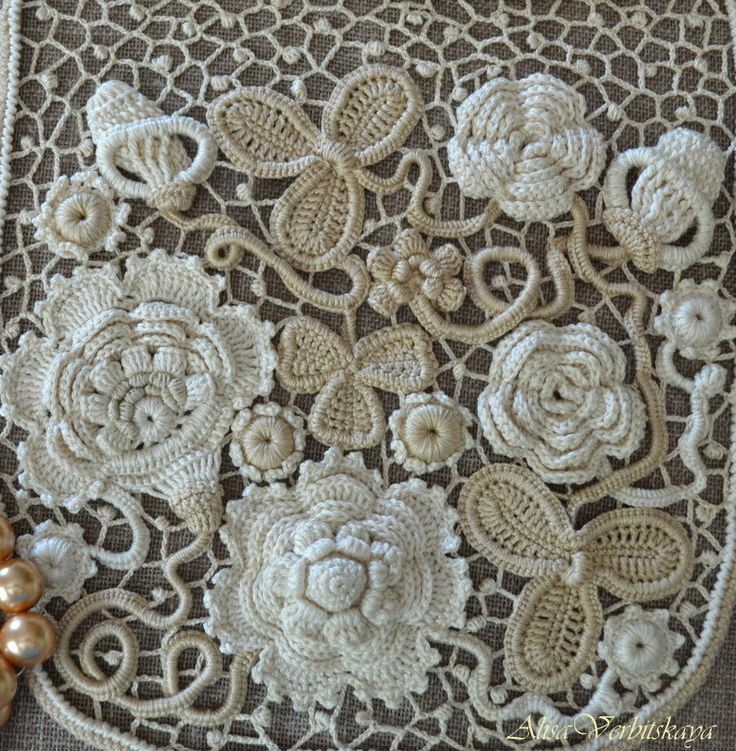 Now I'm cruising through Ravelry looking for Irish lace patterns because that's the variant of crochet that I've always liked best (hence that three-dimensional rose ... Irish crochet tends towards patterns of often-realistic flowers and leaves, sometimes 3D). And discovering that for some strange reason some of the nicest Irish lace designs currently available are from Japan: designers, publishers, and language. This entry was originally posted at http://jlsjlsjls.dreamwidth.org/1337231.html. Please comment here or there (using OpenID), whichever is most convenient for you. I find it fascinating and incredulous that you are such a badass on knitting, but can't retain crocheting. While lots of people can both crochet and knit quite easily and equally well, I've learned from fibre forums that I'm not alone in this. There is a significant subset of people who are like me: knitters who can't retain crocheting and crocheters who can't retain knitting. And it's the same weird thing for all of us ... we can easily learn and do the other craft (and do it quite well) but our brains just won't hang onto the how-to between sessions. It'd be a lot less frustrating if we simply couldn't get the hang of the thing at all but knowing that we did get it and then it vanished ... well that's just plain annoying and proof that our minds are deliberately messing with us. And it's not the order in which one learns the crafts either. I learned (and then relearned multiple times) crochet nearly a decade before I ever touched a knitting needle. When I eventually tried knitting I was actually quite surprised that I could still do it the next day without having to start over by relearning it.